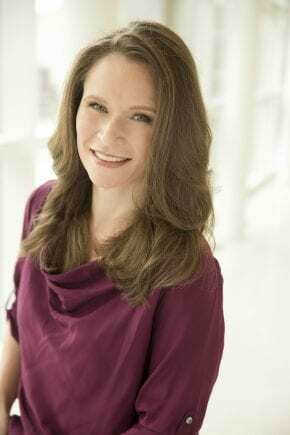 Jennifer Scheiderich is a physician assistant at the Dallas Center for Dermatology and Aesthetics in Dallas, Texas. Jennifer completed a bachelor’s degree in health science and a master’s degree in physician assistant studies at Duquesne University in Pittsburgh, Pennsylvania, in 1998. Certified by the National Commission on Certification of Physician Assistants, Jennifer holds membership in the Society of Dermatology Physician Assistants, Texas Academy of Physician Assistants, and the American Academy of Physician Assistants. In addition to Jennifer’s 13 years of experience in medical dermatology, she specializes in injectable fillers, neurotoxins, and sclerotherapy. Working at a private practice that houses one of the most extensive laser facilities available in the Metroplex, she is one of the only physician assistants in Dallas that performs fractional laser resurfacing, radiofrequency tightening, and tattoo removal. Charlene Wilson is our clinical medical esthetician and certified laser technician. She has been with our practice since 2003 and has over 28 years of experience in the aesthetic field. Charlene has an extensive background in laser and aesthetic procedures. She was named “Best Laser Hair Removal Provider” by D Magazine. Charlene is an experienced makeup artist and has served as a director and territory manager for several large cosmetic companies. She is active in both local and national aesthetic organizations and is dedicated to continuing education and staying up to date on the latest technologies. Daniella is the newest member of our esthetician team and our skin care product specialist, helping our loyal patients find just the right treatments and products to suit their unique needs. She earned her associates in both general studies and interior design, before entering the field of medical aesthetics. She completed her aesthetic certifications in Dallas, performing a variety of laser procedures; including Clear+Brilliant, Thermage and IPL photofacials. Daniella is a master-trained SkinPen™ specialist, using this advanced microneedling system to target specific concerns, from wrinkles to scars. As a licensed aesthetician and laser technician, Daniella also helps provide a number of aesthetic services to our patients, including chemical peels and laser skin therapies. She creates customized skin care programs that combine different non-surgical facial rejuvenation procedures such as fillers, acne treatments, and skin resurfacing to help each patient achieve his or her desired appearance. Daniella enjoys working closely with patients to learn about their backgrounds, so she can find products that fit seamlessly into their lifestyles and help them bring out their best. For more information about Jennifer, Charlene, or Daniella or to make an appointment, request a consultation online or call (214) 631-7546. When you schedule a consultation for cosmetic procedures, you will also receive a customized “Total Skin Rejuvenation” plan to help you achieve your ideal look. Our staff members are a crucial component of our practice’s success. Learn other reasons to choose our practice.